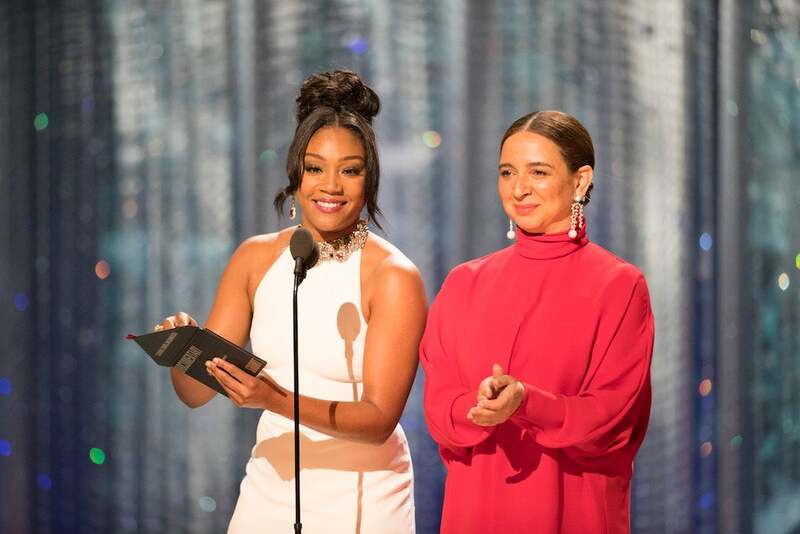 This is for the team in charge of organizing the Academy Awards, the powers in charge, the people that call the shots: Please get Tiffany Haddish and Maya Rudolph to host the Oscars next year! The pair took the stage Sunday night to present Best Documentary Short and Best Live-Action Short and fans couldn’t get enough of the pair. Haddish rocked her beloved white Alexander McQueen dress as she and Rudolph expertly traded jokes. These two were made for a buddy comedy and we aren’t the only people who think so. does the new sitcom starring Tiffany Haddish and Maya Rudolph premiere after the #Oscars ? Others are prepared to see the pair take over hosting duties at next year’s ceremony, a sentiment we wholeheartedly agree with. Make it happen, Academy! Oaky, so next year's #Oscars hosts gotta be Maya and Tiffany, right? And, everyone was just excited to see Rudolph and Haddish to hit the stage. Haddish and Rudolph teaming up is really not an absurd idea. Rudolph’s husband, director Paul Thomas Anderson, made it clear he’s keen to work with the comedian after passing along his number at the New York Film Critics Circle awards. Haddish confirmed to ESSENCE in January that the pair have been in touch. What’s on the horizon for Haddish and Rudolph? We don’t know, but we definitely support it.